Die Casita bei Quail Run liegt in der wunderschönen Sonora-Wüste. We enjoyed this quiet setting and it was perfect for two people. There are many areas for hiking nearby and the Ben Avery shooting center is also close by as well as golf. The owner is next door so communication is easy and quick. Thank you for leaving the casita sparkling clean !! We loved having you and hope to see you in the future !! Safe travels !! The Kings. We found "The Casita at Quail Run" exceeded our expectations. Located in a quiet residential area,the property was clean, had a well stocked kitchen, a refrigerator all ready with cold beverages for us,and a comfortable bed at the end of the day. 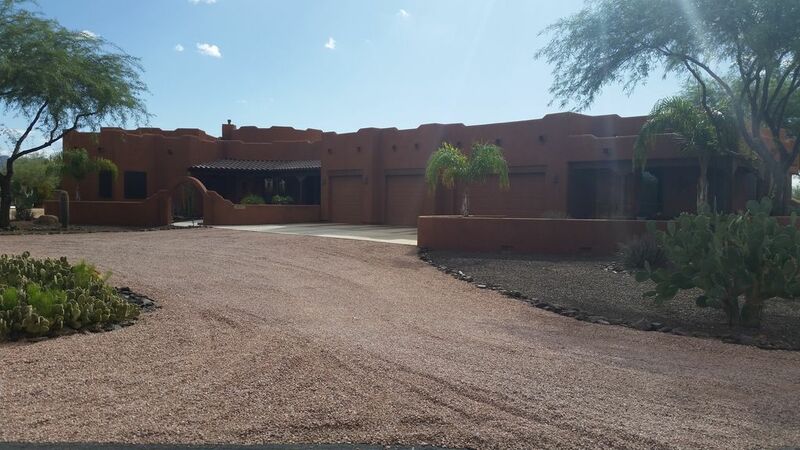 The casita was situated so any day trips we wanted to take had easy access to major roads,shopping, dining, and Arizona attractions. Guy and Donna were gracious hosts! We hope to go back soon. Thank you so much, we loved having you both ! We are glad you had a wonderful stay in the casita. We look forward to seeing you both again next year ! ! Thank you for sharing a piece of your paradise for others to enjoy. The Quail Run is everything you describe, and more. We were struck by the quietness and the privacy while enjoying the outside sitting areas either for a long afternoon rest or late dinner. The many "little" extras made a big difference upon our arrival, after a long day of travel. Your availability also made our stay very relaxing, knowingly you were never far. We found your accommodation exceptionally clean and equipped with everything we needed. And then some. We found the residence ideally situated, just North of the big city, making our trips to Sedona, Jerome and even to the Grand Canyon a breeze. We already loved AZ and the Quail Run made us want to go back. Exceptional home away from home. My wife and I stayed at he casita the first week in March. It is a wonderful location to spend a vacation. There is nothing negative to say about it. And, if you sit outside in the late evening, you can see the quail run down through the yard. Also, there are lots of birds and rabbits. The owners are great.